Aaron was born in Remsen, Iowa. His work includes Snapped: Killer Couples (2014), The Rickey Smiley Show (2013), Crackerjack (2013), Stuck (2013) The Little Tin Man (2013), Scary Movie 5 (2013), and Conan (2013). 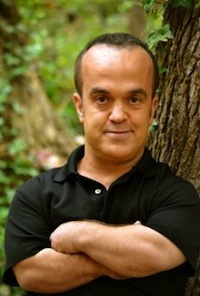 Aaron is a man with dwarfism who began his acting career at age 13. He describes himself as a “father, actor, and lifelong entertainer. He has stated, "I enjoy creating character and voices. I find humor in everyday occurrences. I have used these skills in one man shows, films, and television.” Beelner is also a motivational speaker. Join Aaron at the Cinema Touching Disability Film Festival October 17 & 18, for a presentation of The Little Tin Man and audience Q&A. View a preview of the film below.